It has been immensely busy for me. But I am excited I can now resume my routine blogging on UDUAK LAW FIRM blog. I thought the best way to resume was to share with you an inspirational story inspired by a reconnection, today, with an old friend from the fashion industry. In speaking with her, I was reminded how small the world is and also that if you follow your dreams, it can and does become reality. 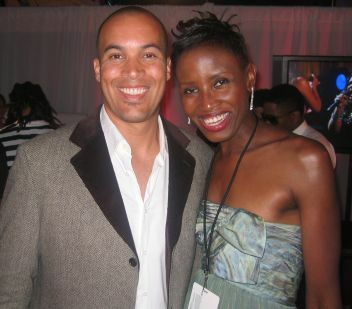 Another buddy of mine’s face, Coby Bell, popped into my mind as I thought about the conversation I had with my friend. I’ll share it with you to illustrate my point about being relentless and going for what you want. . . I lost count of the numerous times Coby Bell and I ate at San Jose State University cafeteria. We were both living in the dormitories and our paths crossed often as we headed to either breakfast, lunch or dinner at the Cafeteria. Over time, we struck a repoire and would sit across each other in the Cafeteria. We chatted, joked and laughed about various subjects, but most importantly we talked about our career aspirations, often. Coby wanted to be, unequivocally, an actor. I wanted to be, without a doubt, a lawyer. It didn’t matter what was going on or sometimes how nasty the cafeteria food was, we were lost in our talks and dreams about our future. This June, I was at the 2010 BET Awards wearing my other hat as a journalist and who walks in backstage with ‘The Game’ crew? You guessed right. Coby Bell! We laughed, hugged and caught up on the latest in our lives, since college. I am a firm believer in “The sky is the beginning.” If you dream it, you CAN achieve it!